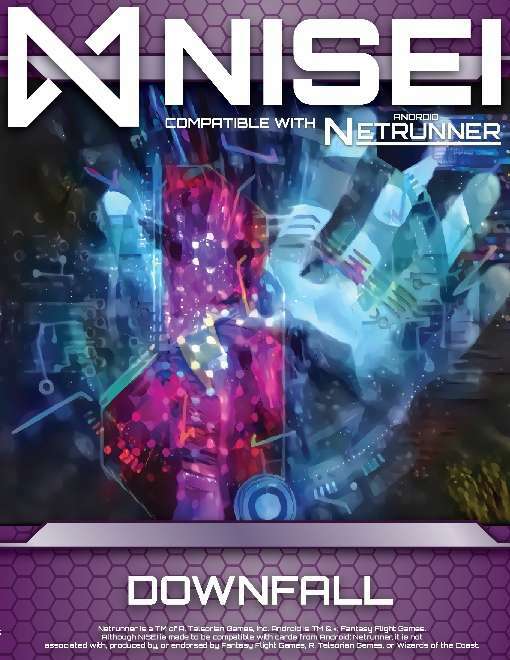 Downfall is the first half of the Ashes cycle and the first expansion released by NISEI! Contains 3x each of 65 new cards. Compatible with Android: Netrunner. Not associated with, produced by, or endorsed by Fantasy Flight Games, R. Talsorian Games, or Wizards of the Coast.